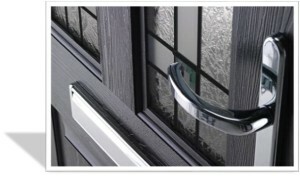 If you want to combine functionality, energy efficiency and great visual appearance, then fitting the latest uPVC, Composite or Hardwood door to your home is the best way to go. Long lasting, hard wearing and with a massive choice in design styles, sizes and configurations. It's fair to say that not only can a high quality, good looking entrance can create a memorable first impression on visitors, but it can also be an important line of defense to deter unwanted intruders - it's stated that more than 70% of all burglaries in the UK are via an insecure door. So to combine appearance, longevity & security would seem to be a sensible course of action. Modern residential doors feature multi-point security locks, 5 lever locks, toughened glass and reinforced panels & frames along with built-in energy efficiency such as with uPVC & Composite versions. Larger entrances can be accommodated by using side or top panels (which can be double glazed) or using a double door configuration and where special access is needed low threshold options are available. well designed & fitted front entrances can help reduce heat loss from the house, eliminate unwanted draughts, keep out the bad weather & reduce noise from the outside. If you are including glazed sections, then you can select from coloured, patterned or toughened glass that is double or even triple glazed. 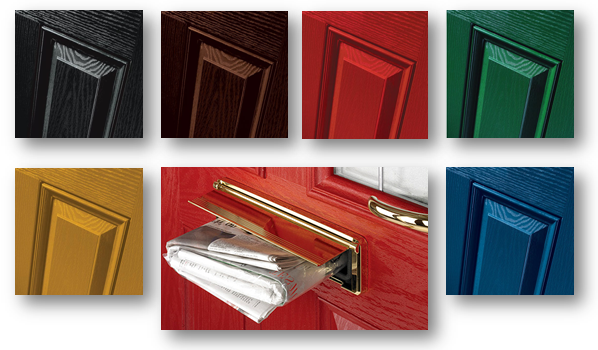 For uPVC & Composite there is a wide selection of surface colours (dual colour also) along with grained wood effect Surfaces. For wood you can find Pine, Oak, Teak, West African Hardwoods & more. It's not only a good idea to look at the quality of your main entrance, why not review Patio or Bi-fold?